The Mozilla is use very common browser now a days its best for the exploitation (Hacking) Today I am share some very useful tricks .Here are some simple tricks which I gathered from different website . set “network.http.pipelining.maxrequests” to some number like 29 or 30. This means it will make 29 or 30 requests at once. When you open a website in Firefox,so then Firefox stores the required data in its cache folder in anywhere so that it can load the same web page faster when you open it again in future any time. 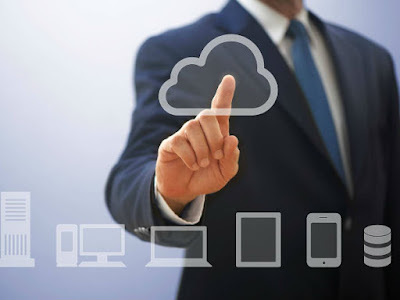 If you want, you can specify a location to store the cache files so is easy. Open about:config and then add new String preference browser.cache.disk.parent_directory. So Now set its value to your desired location for example E:\Cache. We can also disable memory cache completely by setting the preference browser.cache.memory.enable to The false. Now This is very useful for the quickly getting access to all Our bookmarked items. To quickly go through the contents of the webpage, use your keyboard Space bar to skip to a next reading space on that web page. Now Each skip begins from a last line in the previous space so that we can track where you stop and continue from there where we can start . So then now To return to the previous reading space, hit Shift + Space bar. So This will take you to the previous reading space And ending in the top most of line of the page you returned from it . Use Ctrl+F to open the Find box to the bottom of Our browser and then enter a word or phrase, which you can found and Firefox will highlight the word or phrase easily wherever it occurs on that web page in any where. This shortcut will be immediately pop out a New window for you to clear Our recent browsing history. 6.Use Ctrl+Tab to Skip from One Tab to WITH Another Tab and Ctrl+(1-9) to Move to Specific Tabs on Our Browser where we want to go. Whenever you accidentally close the Tab, use Shift+Ctrl+T to reopen the previous tab. You can press Shift+Ctrl+T if we want to open a lot of tab mean several times to continue to reopen previous closed Tabsso then Similarly, we can quickly close any Tab with a Ctrl W. Also, we can use Ctrl+Shift+W or Alt+F4 to the Close Firefox Windows. So, the final Firefox is actually easier browser to use other browser. You don’t necessarily need to know all the shortcuts. You Basically only need to learning a couple of them so that you find highly useful and use them the regularly. 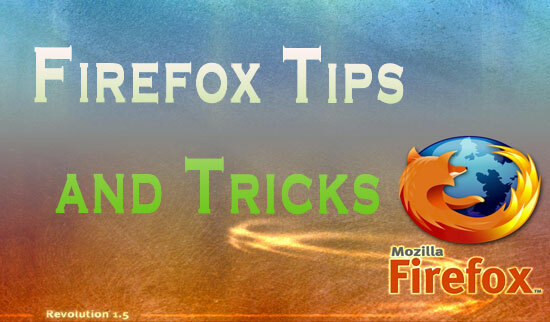 If you know of any other the highly useful Firefox tips or tricks .i haven’t mentioned, feel free to add to the list. We will welcome additions to these tricks in my blog Comments section below.